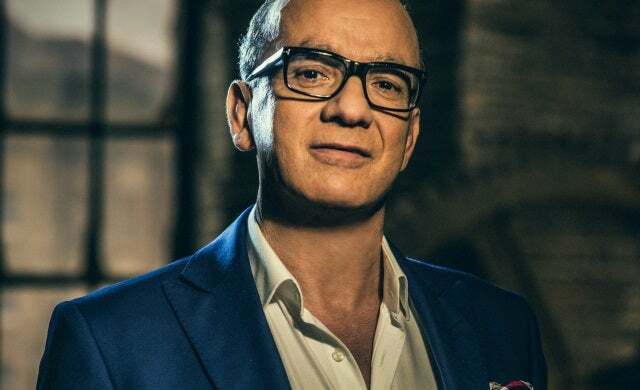 A leading fashion entrepreneur and global manufacturer, Touker Suleyman is one of three new names joining the BBC’s popular Dragons’ Den show for its 13th series but just who is the man behind the Hawes & Curtis shirt brand? With 40 years of experience in the retail industry, connections to the Beckhams and a range of budding young start-ups in his investment portfolio, Startups has taken a closer look at Suleyman’s business background. Suleyman’s story serves as inspiration to any entrepreneur who has experienced a business failure. In the 1980s, he invested in a clothing business called Mellins and was then advised by stockbroker Laing & Cruickshank to buy a major stake in another clothing company; Bamber Stores. He did so without undertaking any due diligence or research into Bamber’s financials and later found out the company was £20m in the red. “Badly burned”, Suleyman was left among the creditors when Bamber went into liquidation. At the same time Mellins needed a cash injection and Suleyman had struck a £2m deal with shamed Polly Peck businessman Asil Nadir to resolve cashflow issues but the deal never surfaced. Suleyman resigned and was forced to sell his house to pay off his debts. “Devastated and wiped out financially”, Suleyman said he was “determined to not let these challenges get the better of him” and so he began again. Suleyman has spent over 40 years in the retail and manufacturing industry. In 1976, at the age of 18, Suleyman established his own manufacturing company Kingsland Models having spent his childhood purchasing clothes for his grandmother to sell on to her friends. The business produced clothes for the likes of Marks & Spencer, Topshop and Dorothy Perkins. In 2004, he and his brother Mustafa decided to take the plunge and venture into the fashion business proper. Suleyman is already an investor in a number of UK start-ups including deck shoe business Docks Rio, leather handbag specialist Huxley and Cox, bicycle marketplace Bike Soup, marketing and advertising company Intelligent Futures and a number of property businesses. We suspect that he’ll be attracted to retail and property pitches in the Den. Aged five, Suleyman left Northern Cyprus in 1958 with his family after the armed struggle for the nation’s independence started in 1955. His family set up their new life in Camberwell “living in modest circumstances” and Suleyman started secondary school “speaking hardly any” English but went on to achieve eight O-Levels. Fast forward 50 years and Suleyman has become a multi-millionaire fashion tycoon. Suleyman and his brother paid £1 for Hawes & Curtis in 2004 which they have since turned into a luxury brand with a turnover in excess of £21m. At the time, Hawes & Curtis was about to go into administration with £500,000 debt and no stock so the duo decided to “rescue” the company and it was a decision that paid off handsomely. Four years later Suleyman rescued womenswear retailer Ghost from administration and relaunched the brand in 2012 as a “heritage brand”. In 2013, Suleyman agreed an alleged £3.2m deal to partner with Korath Holding and franchise Hawes & Curtis across the Middle East with 26 stores opening in Saudi Arabia, Qatar, Oman, Kuwait, Bahrain and the United Arab Emirates. He has since looked to grow the Hawes & Curtis brand in the US and a franchise model in Indonesia and the Far East. His other company Low Profile Holdings has factories in Turkey, Bulgaria and Georgia so the fashion entrepreneur will be able to open doors for businesses looking to grow overseas. Suleyman joined an accountancy firm as a trainee straight from school, following pressure from his father who wanted him to enter a “stable profession”. He soon quit to pursue his retail career but the fashion magnate is likely to have a good understanding of the numbers side of business. Suleyman owns a £20m ‘James Bond-style’ house in South London which he regularly rents out to A-list celebrities. David and Victoria Beckham and their children stayed at the property in 2013 which gained coverage in national press. Suleyman is a mentor for the youth charity organisation Prince’s Trust and acts as an ambassador for the charities WellChild and the Retail Trust. He also says he “loves to find ways to support young entrepreneurs in developing their companies”.